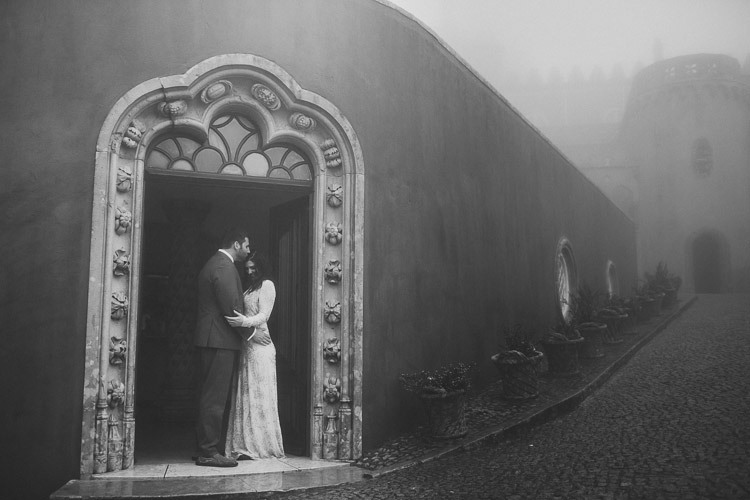 Sintra Pena palace wedding photographer. 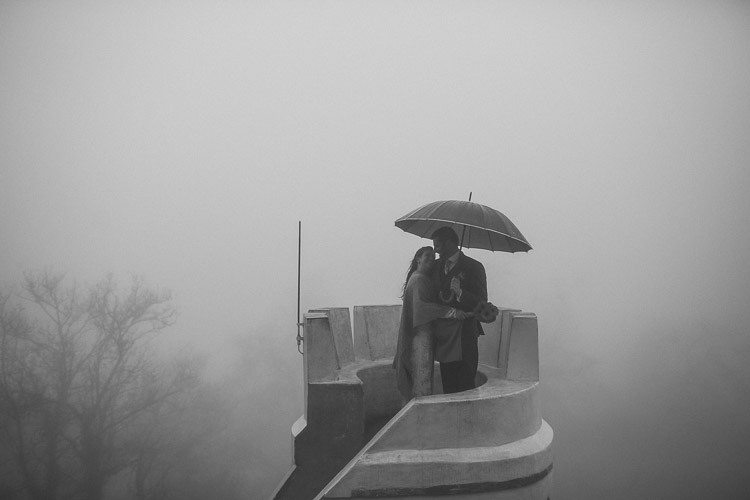 Last spring was really rainy and windy. 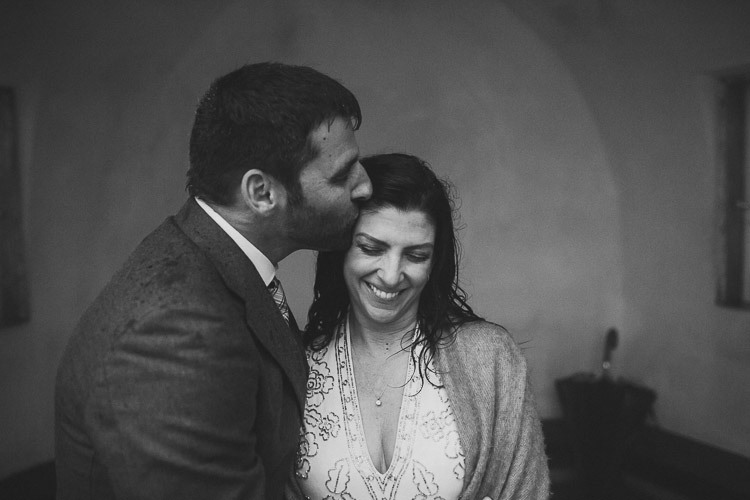 I say this with all the emails about the weather that Monica and me shared before their wedding in Portugal. 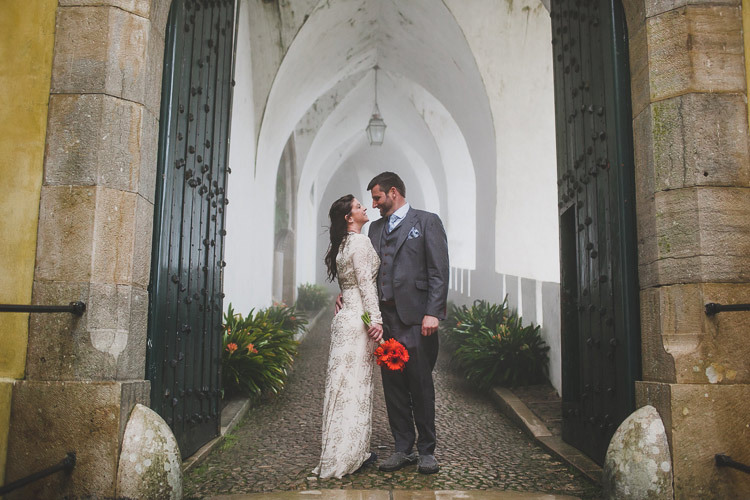 They were looking for an elopement photographer in Portugal and we started to think about locations and details. 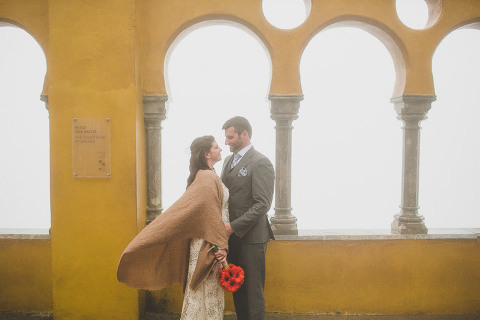 They prepared a destination elopement in Europe full of adventure. 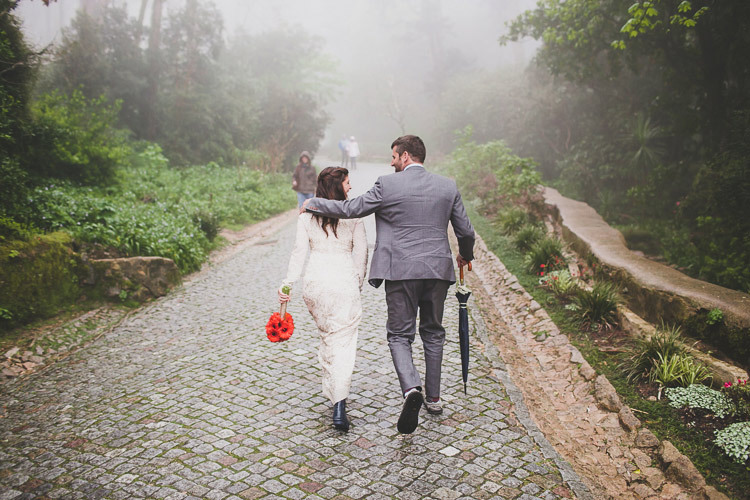 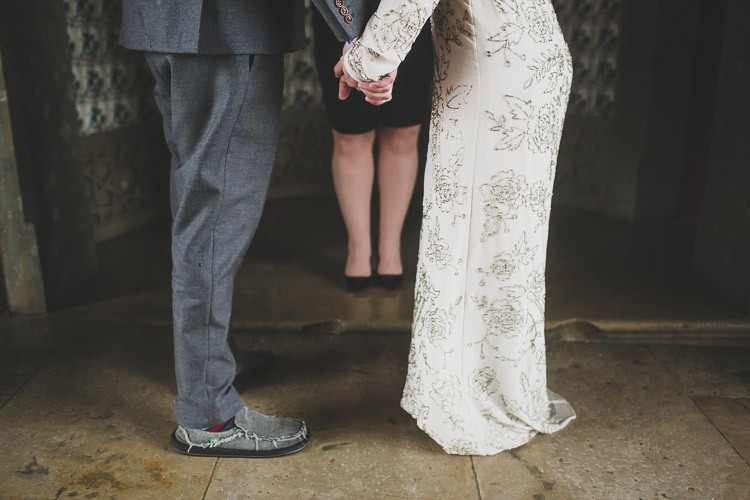 They wanted some special and a wedding in Pena Palace Sintra was perfect for their adventurous spirit. 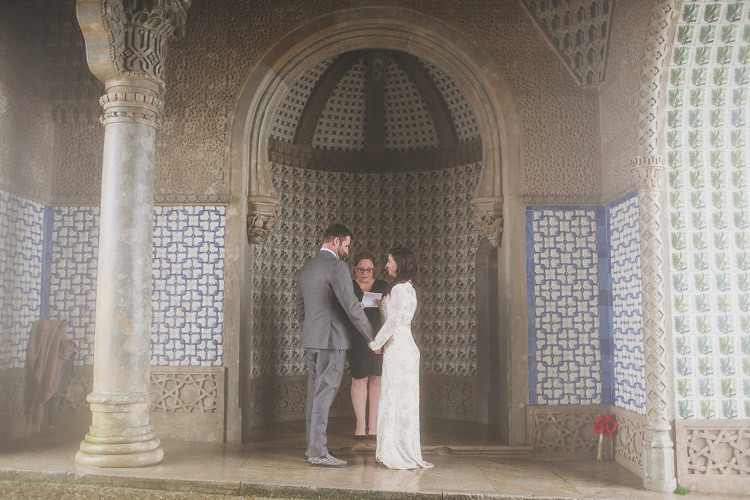 And really it was. 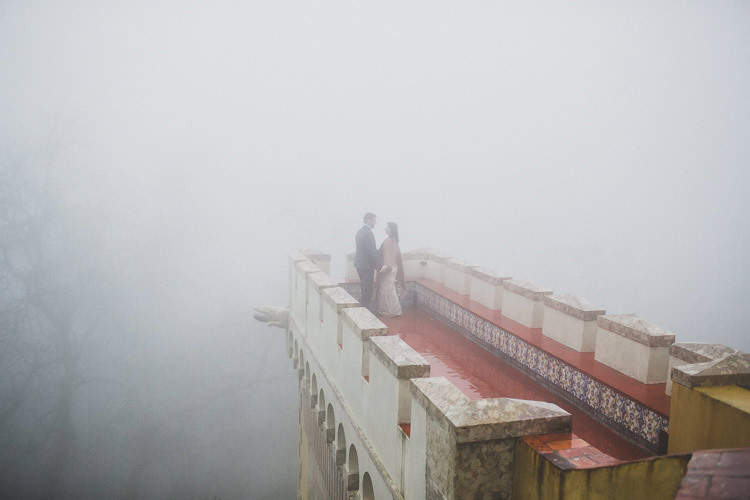 That week was so rainy and a heavy fog was present all the time. 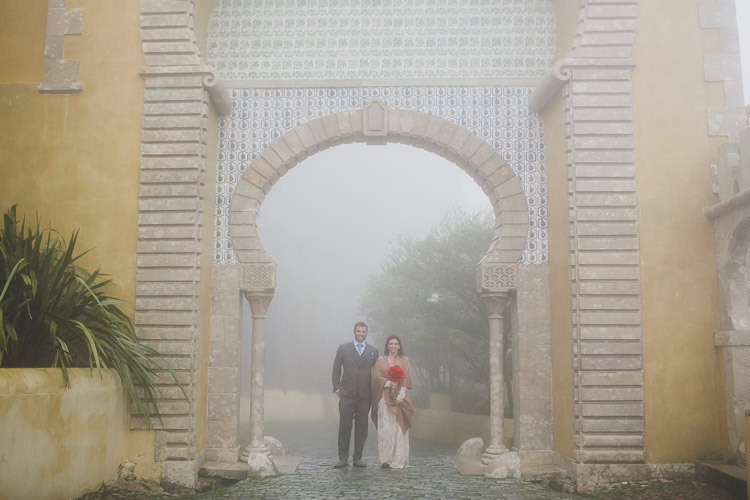 But this amazing couple, just was happy with the “bad” weather as we were completely alone at the touristic palace and we had all the spaces for us. 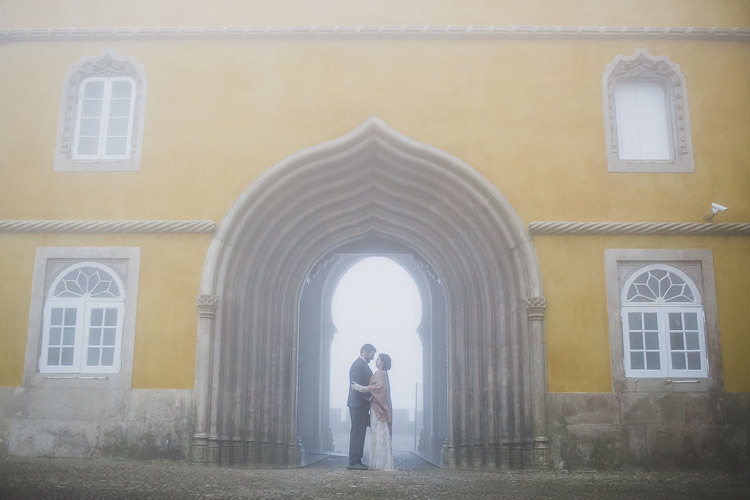 And the atmosphere that the fog created was simply perfect to this fairy tale. 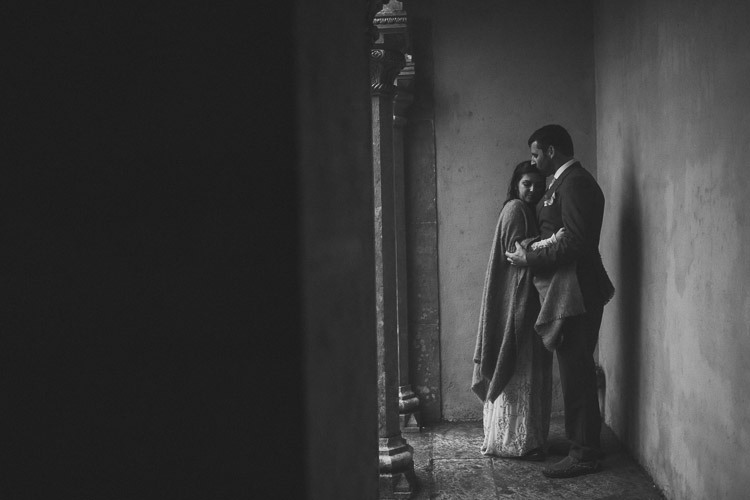 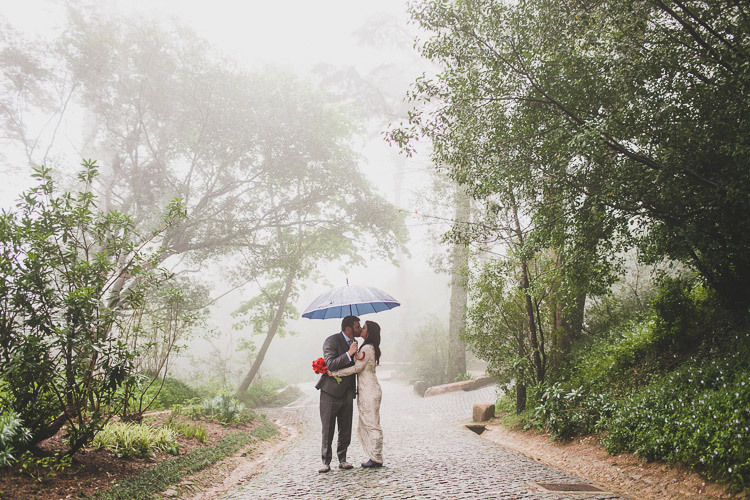 I am completely honored to photograph this intimate wedding in Sintra. 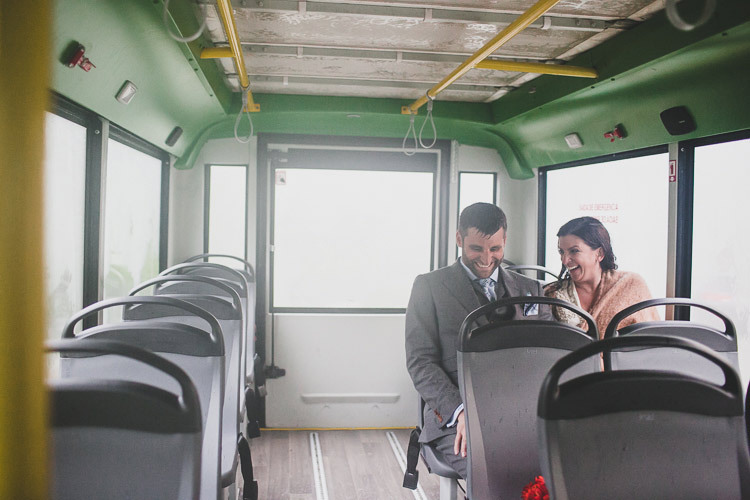 Soon all the story.